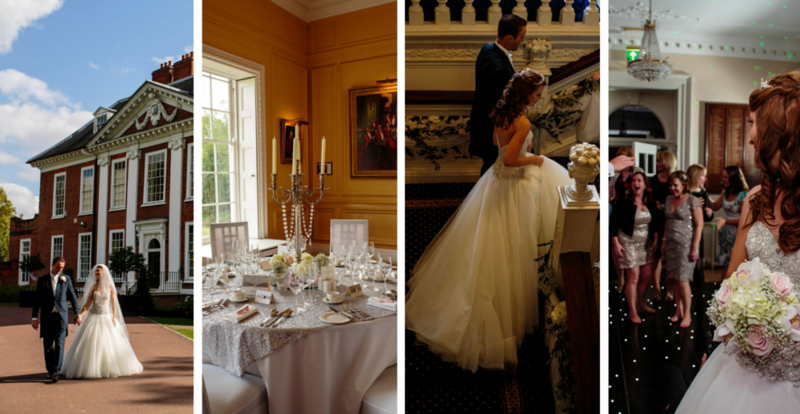 Welcome to Eltham Lodge, one of South East London’s most elegant and historical venues. Located in the Royal Borough of Greenwich, the Lodge is home to Royal Blackheath Golf Club, one of the oldest clubs in the world. Our Grade I, 17th century listed house is available for exclusive hire or by the room for your special occasion. Be it a wedding reception, corporate event or private party, Eltham Lodge provides over 400 years of history, an exquisite service and with its royal patronage, you are guaranteed a truly distinguished experience. Thoughtfully refurbished to meet the demands of the 21st century, Eltham Lodge has still retained its unique character, especially evident in its elegant staircase, original ceilings, beautiful fireplaces and historical paintings. This is all set in 110 acres of beautifully landscaped golf course making Eltham Lodge the perfect backdrop for any wedding album and a stunning venue suitable for any occasion, a gift to photographers both professional and amateur. Eltham Lodge is justly included in ‘England’s Thousand Best Houses’ by Simon Jenkins and is often described as ‘a gem of Restoration architecture’. The Lodge’s visual excellence is complimented by its warm and friendly staff, ready to welcome you and your guests. We cater for wedding receptions, banquets, birthday lunches, anniversary parties, meetings, funeral receptions, baby naming ceremonies and much more. With a full event organization and catering service, a good choice of rooms to hire all with their own individual character, we can provide an excellent service to accommodate for almost every taste and budget. Our online brochure is available to view here. If you have an event in mind, you can contact us via the website, or call us on 020 8331 2992 to speak to Jan Easton and arrange a private viewing of the Lodge where we can discuss your needs in more detail.